It’s hard to find a sapphire ring that turns heads without it looking like an engagement ring. Until now that is! 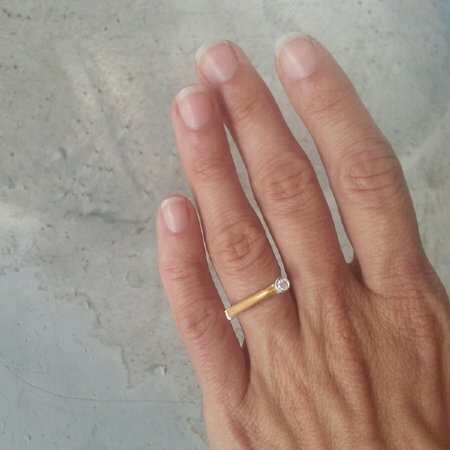 This sculpted ring is designed with the same qualities as all our rings; combining contemporary aesthetics with original forms, ridiculously comfortable and effortlessly worn in several ways! 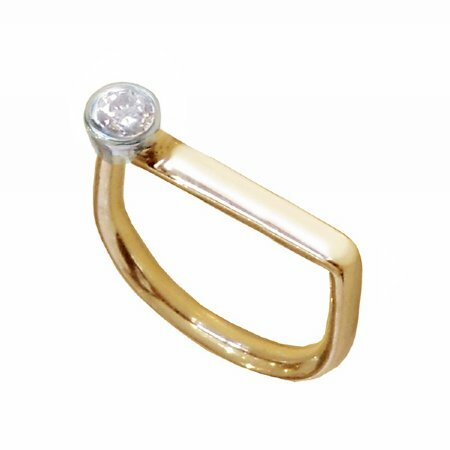 This feminine ring features a 9ct yellow gold band and a stunning white sapphire adorns the silver tapered bezel. As this ring is custom made, there is a 2-3 week lead time.